Nintendo of America announced today that Super Mario Odyssey is now the fastest selling Super Mario game of all time. 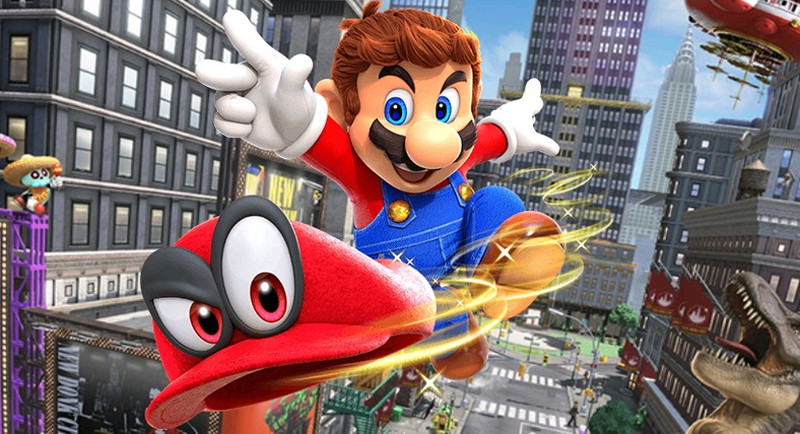 According to their latest financial report, Nintendo has sold nearly 2 million copies of Odyssey worldwide since it's release last Friday, with 1.1 million copies sold in the US alone. The Nintendo Switch has had an excellent year with Nintendo exclusives and ports, helping to push more Switch systems and keep the stock scarce for the first few months. The Legend of Zelda: Breath of the Wild is currently the number one sold game on the Nintendo Switch, standing at around 4.7 million copies sold. And with the Explorer Edition coming soon, that may bump Breath of the Wild past 5 million units sold. We're currently in the process of reviewing Super Mario Odyssey and hope to have it out shortly.